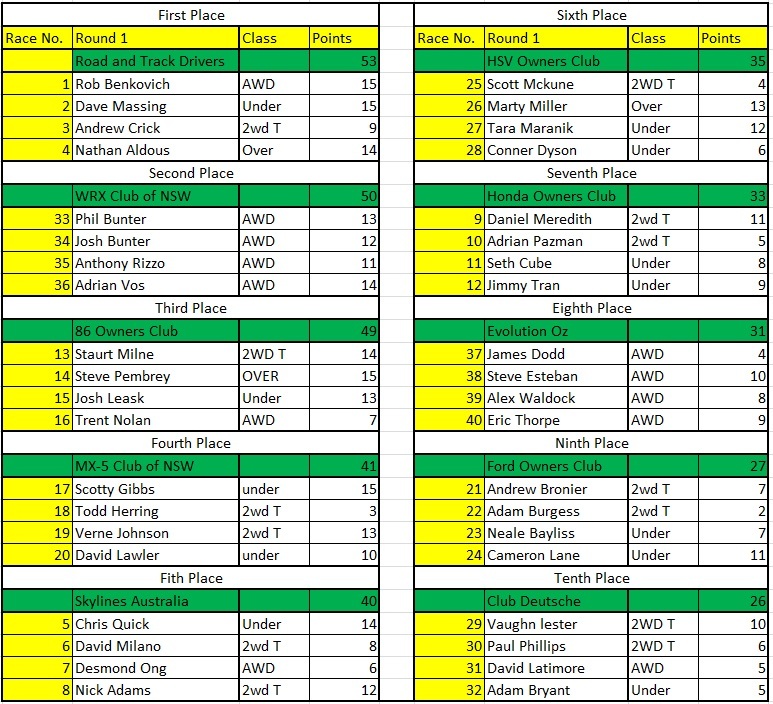 It has been a super busy time in the Nulon Motorsport Dept, 5 events in 5 weeks means we are a little behind in releasing these results publicly. 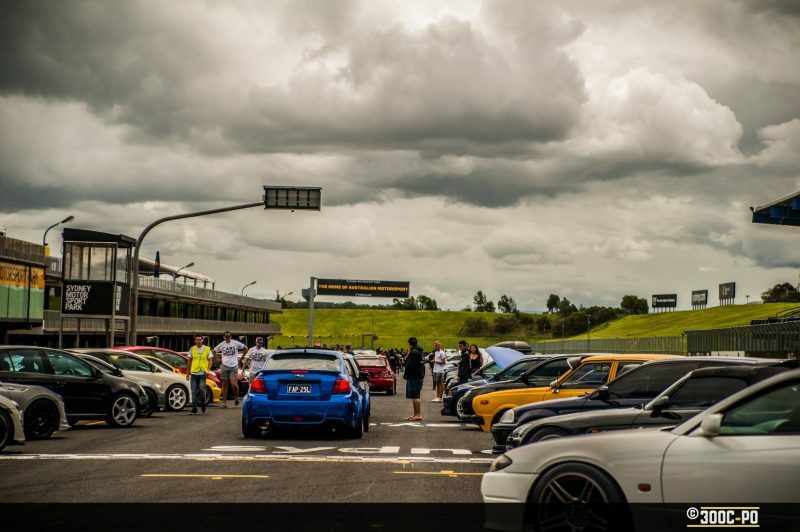 Round 1 in 2016 was our biggest event to date, a huge thanks has to go to the guys at Tuned. They put on a huge 400 car show n shine which extended down to the front straight of the racetrack. We did get a few showers throughout the morning which scared a few away but we still had over 400 cars turn up for that alone. 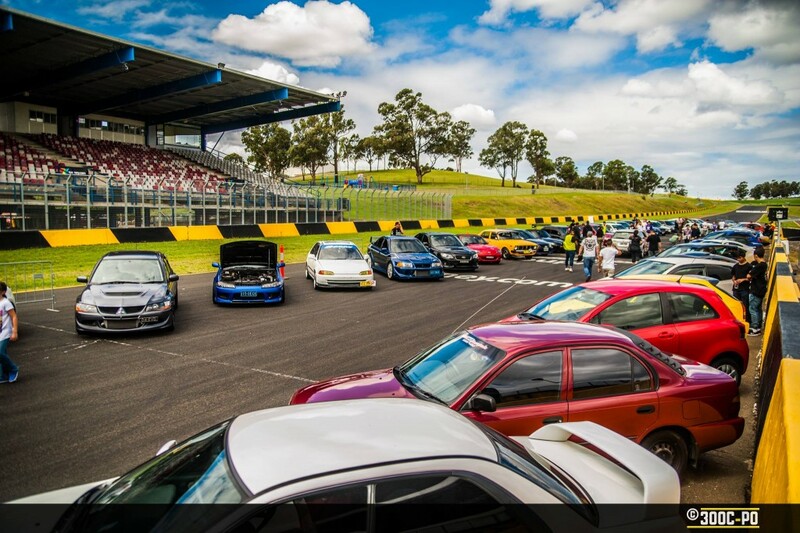 In 2016 we welcomed the Impreza WRX club of NSW to make it 10 strong teams taking part. Well they certainly made their mark on the series by dominating round 1. The guys from the club really put the extra effort in on the day by making sure the cars were all clean and well prepped, but the driving on track was the most impressive. 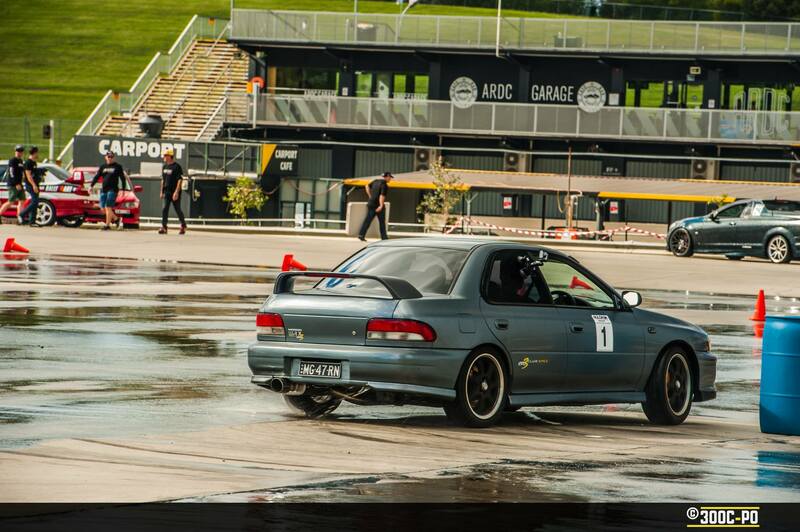 All 4 drivers were in the top 5 of the congested AWD class. 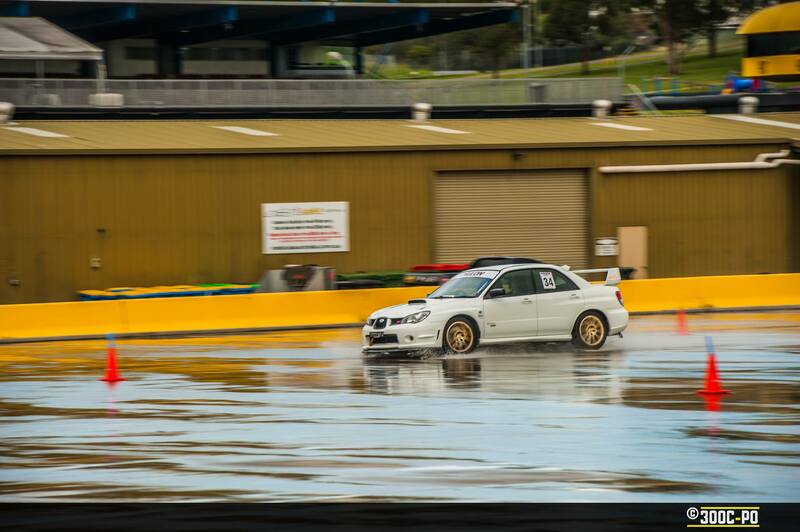 In fact, Rob Benkovich who won the event for RTDC, was also in a GC8 WRX and is a member of that club, the remaining 3 rounds are going to be very interesting to see how much this club shakes up the Nulon Nationals series. Speaking of RTDC, They did in fact make it 2 out of 2 in the motorkhana rounds, taking out round 1 by only 3 points to the second placed WRX club. 3rd place was another Motorkhana regular in the 86 Drivers club with Steve Pembrey taking out the over 3.5L class and Stuart Milne taking out second place in the 2wd T class. As some of you already know, the classing and points structure has been completely changed and adapted in 2016. We now have 4 classes, and reward equal points per class. 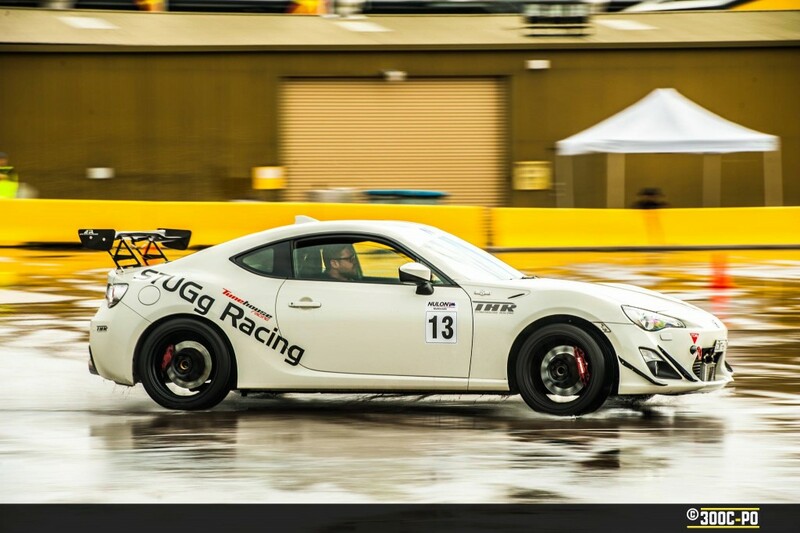 Some clubs have entered cars in each class while others are sticking to their guns and running the fastest cars within the club. Only time will tell how this will pan out but the results are much closer after round 1 so we are sure setup for a great year. The biggest thing we have noticed with this new points structure is that it has brought the entire field a lot closer with only 27 points between 1st and 10th place. Special thanks has to go to Sam Law from 300C-PO for the huge amount of photos he took (over 500 posted on our page so far) He is a down to earth car guy and is more than welcome at any of our events.